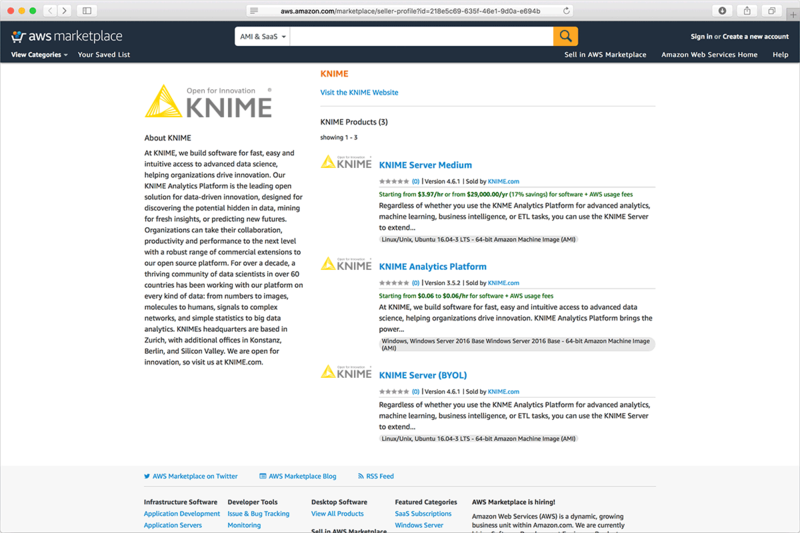 Run KNIME Server or KNIME Analytics Platform on Amazon Web Services (AWS) Cloud Services. Host your data science platform and applications in the cloud ​ and ​ provide your organization cloud deployed, self service, data science development, delivery, and management. Leverage the full memory, GPU, or maximum CPUs available on the instance for data science IT operations, or choose a bigger instance when needed. 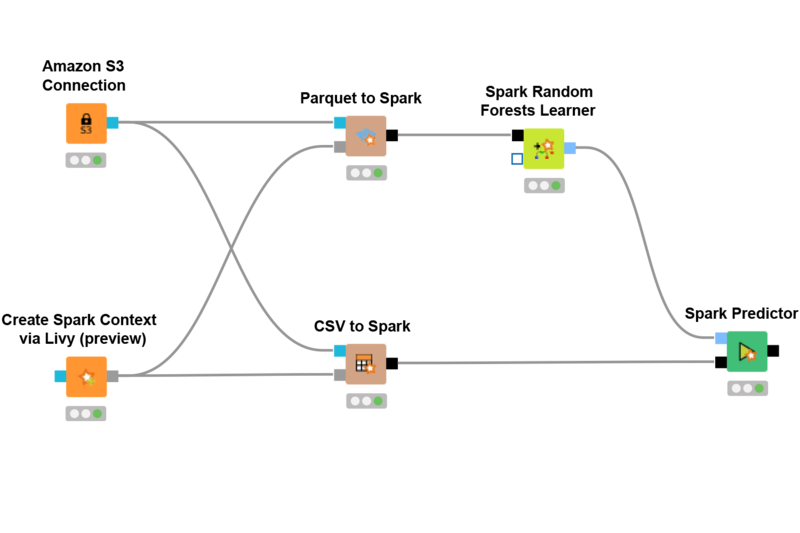 Connect directly to other AWS resources​ from KNIME Software. Bring your own license (BYOL) and take advantage of our configuration tweaks for running KNIME on AWS once you’ve purchased your KNIME Server license from us. Run KNIME Analytics Platform on Windows Server 2016 which is pre-configured for immediate use via remote desktop. Pay the same for your annual KNIME Software subscription on AWS as you would for purchasing directly from KNIME (additional AWS infrastructure fees apply). Use the Relational Database Service (RDS)​ connectors for AWS RDS MySQL, PostgreSQL, and SQL Server enable you to construct SQL queries graphically. 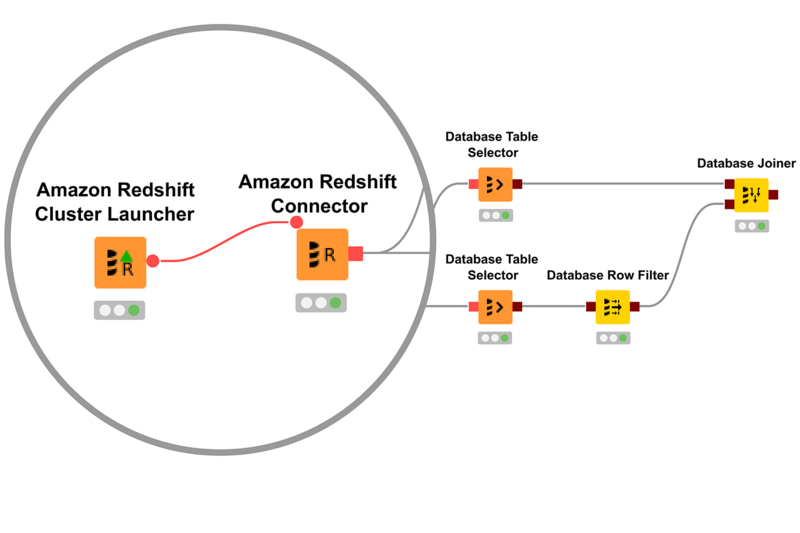 Create a Redshift cluster​, run your SQL query, and shut it down when you're done. Query flat files stored in S3 with a SQL interface without needing to maintain a database server using Athena. Access KNIME Software Integrations with AWS which are open and available to AWS services. You may choose to use them in an instance purchased through the Amazon AWS Marketplace, manually installed in AWS, or install on-premise. Use EMR to manage your Big Data Cluster which supports Apache Hive and Apache Spark through KNIME Big Data Integrations. 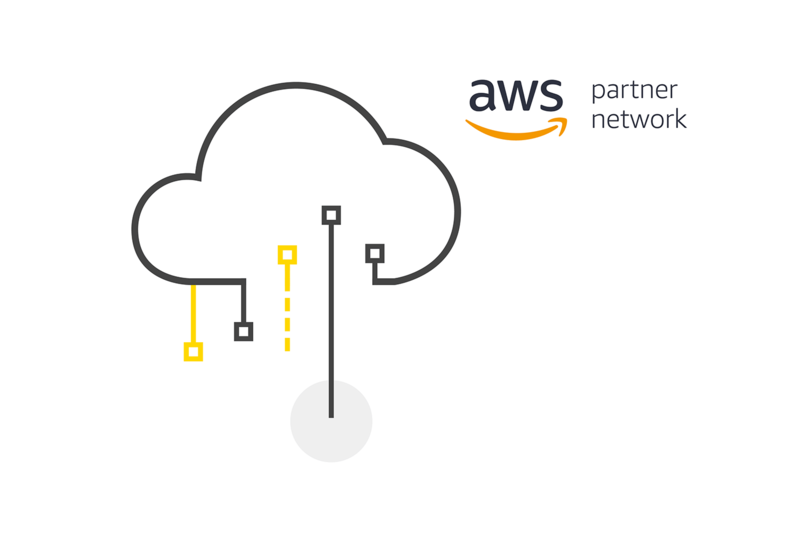 Upload to and download from the AWS Data Lake ​ with S3 Storage Connectors. ​ Supports server side encryption to ensure data stays secure. Learn more about KNIME Server for collaboration, automation, management, and deployment. Find out more about hosting your KNIME Server on Amazon AWS.